Click on the Play Button and 'Sunset Bike Racer' will start after this message... Thanks for waiting! Choose between an ATV or a trial motorcycle and finish the tracks while you collect grenades and do tricks. 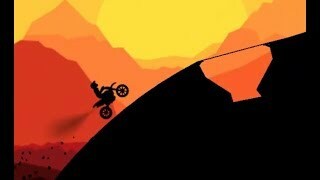 Discover this 3D trial riding game along the craziest tracks! Try to keep your balance, speed up when climbing and then slow down to turn. Clear all 10 tracks and upgrade your bike on the way! Good luck! This is the ultimate trial racing experience! Choose your bike or quad and try to reach the goal line doing the best tricks. Dodge obstacles, jump, earn bills and unlock the 20 tracks and 10 vehicles! The fun never stops! Get on a powerful bike and steer it over all kinds of obstacles - try to keep your knight's balance at all costs! Do some tricks, put your own skills to test and clear every stage! 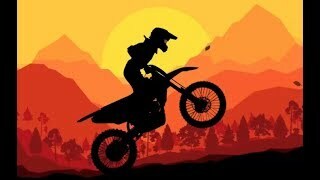 Ride this motocross bike and complete 25 challenging stages! Jump, dodge all kinds of obstacles, do the most amazing tricks and reach the goal. Have fun! Get ready to face all kinds of challenges and do all kinds of tricks on your bike! Enjoy these wonderful 3D stages and get the highest score - avoid crashing into the obstacles or falling on the ground. Are you up for it? 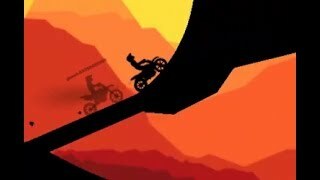 Enjoy this thrilling bike-racing game and its wonderful physics! Take it to the next level over the cliffs and have fun!